Article #3: We wanted to share with you the bike and what it's like on it. Tauru gives a glimpse of what it's like to captain/pilot a tandem. Christi shares her experiences as stoker -- her role not only in pedaling but also in providing visual cues. It's June and only seven months away before we start! View this article as Web or view as PDF. See all Articles in Archives. 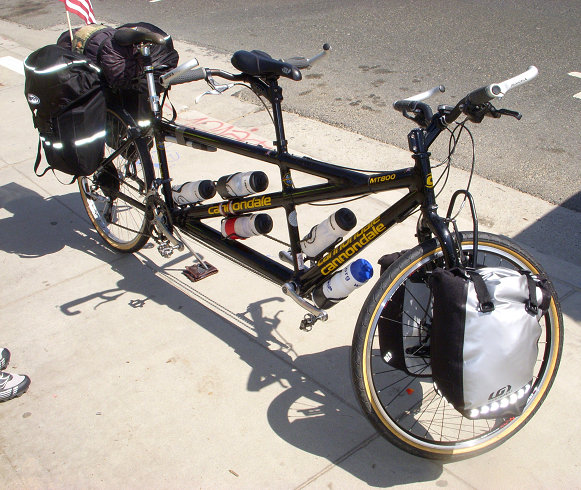 The tandem bike at the beginning of our trip across America. 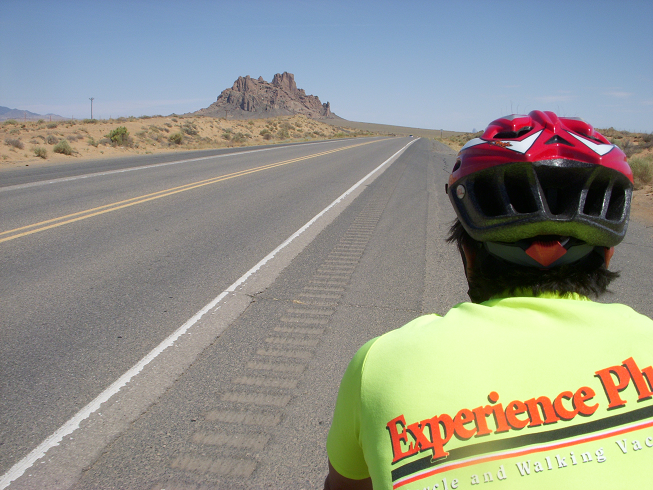 Christi's view--en route to Shiprock, NM.